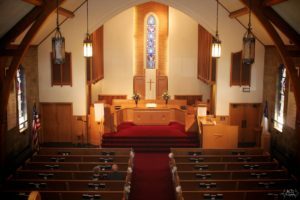 Elmwood Avenue Presbyterian Church is a strong congregation who works together to serve God and our community. We offer weekly worship services, as well as programming for all ages. We are active in serving God through mission opportunities, such as our monthly food pantry, the Crop Walk, Habitat for Humanity, and Erie Free store. We hold our Weekly Worship Service on Sunday mornings. Starting on the Sunday after Labor Day, our worship service is held at 9:30 AM. During the Summer Months (Memorial Day-Labor Day), service is held at 9:00 AM. It is a traditional service, with Communion being celebrated on the first Sunday of each month. Families are welcome—there is also Sunday School offered for Children during the service (after the Children’s Sermon). An adult Sunday School follows the service, beginning around 10:30 AM (September – May).